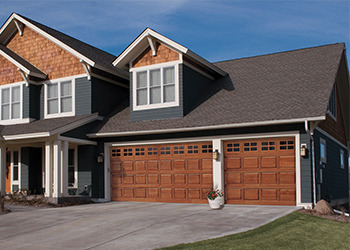 Our Clopay® collection of garage doors offers a wide variety of color palettes and finishes that are perfect for enhancing the curb appeal of your home. 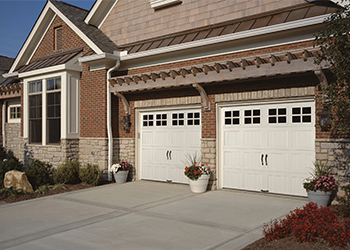 Choose from a Variety of High-Quality Garage Doors and Leave the Installation to Us! 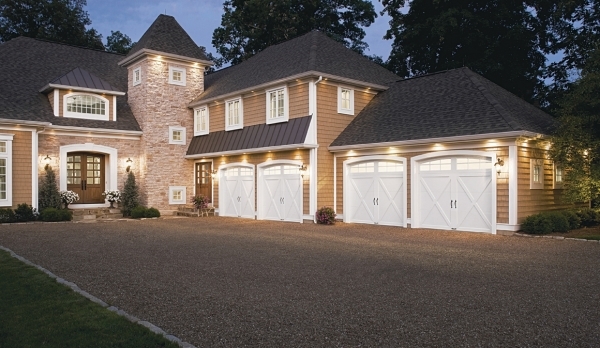 With many options to choose from, picking out and installing a new garage door is as easy as 1, 2, 3 with Town & Country Door, LLC! 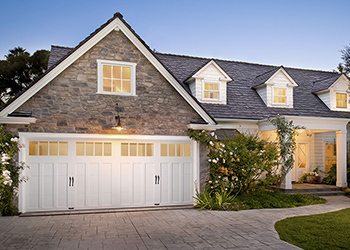 With a reputation for success and unrivaled service, we are readily available to help you find the garage door that boosts the curb appeal of your home. 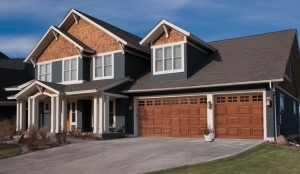 Contact us now to learn more about our garage door installation service in MI. 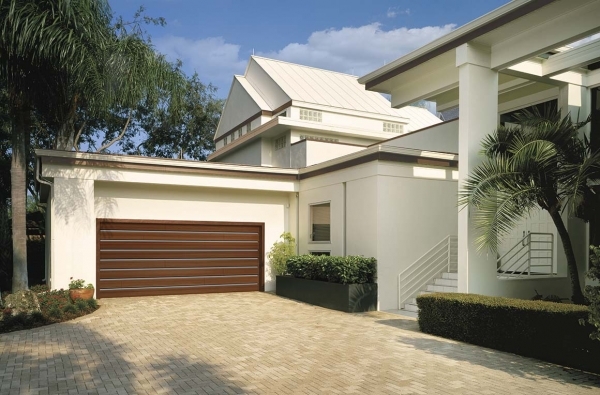 Step 1: Choose from our nine collections of Clopay® garage doors (Canyon Ridge, Coachman, Grand Harbor, Gallery, Classic, Modern Steel, Avante, Reserve and Classic Wood). Step 2: View all available styles from the collection you choose. Step 3: Once you've had a chance to explore the many style options we offer, give us a call to schedule a free in-home estimate. 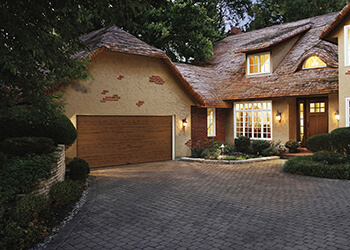 For more than 50 years, Clopay® has been helping homeowners revamp their homes by creating personalized exteriors. 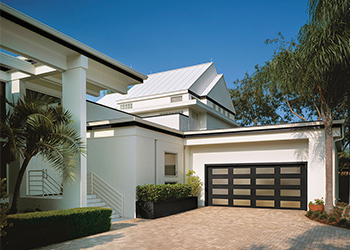 They are the largest garage door company in North America and are the most well-known and reputable brand among residents. 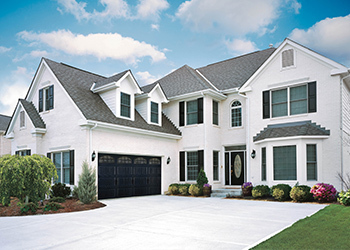 All of their garage doors are created right here in the USA and are supplied to local distributors, which is where we come in! 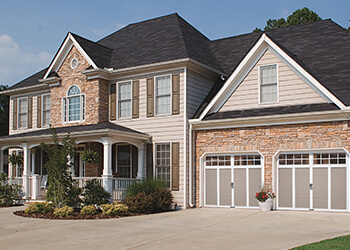 With their exceptional range of garage door collections, every homeowner can find a style that they’ll enjoy for years to come. 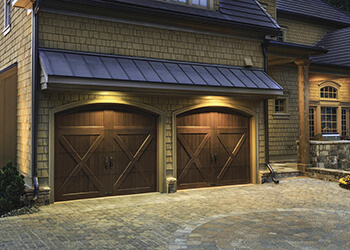 These one-of-a-kind carriage house doors are made with eco-friendly Intellicore® insulated steel. They’re finished with faux wood composite cladding and overlays. 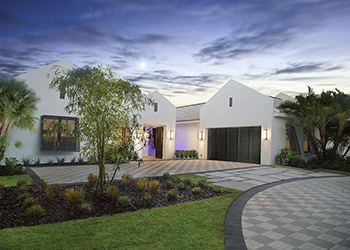 They look to be authentic swing-out doors but also offer the convenience of upward operation. 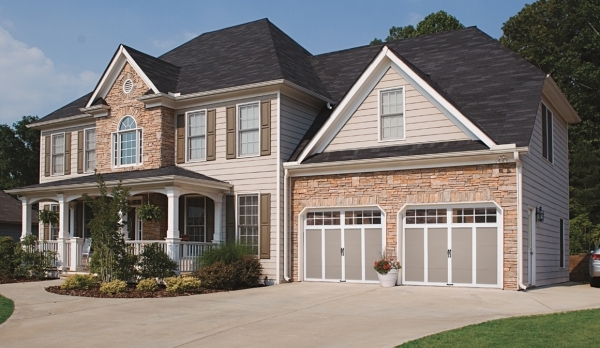 *We provide samples and full design options during our initial meeting discussing your garage door needs! Contact us today to learn more. 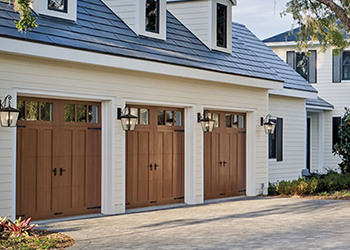 The perfect blend of aesthetics and functionality, these carriage house doors appear to be wood but are actually made up of layers of reliable, low-maintenance steel and insulation. They’re topped with a beautiful woodgrain textured composite overlay. 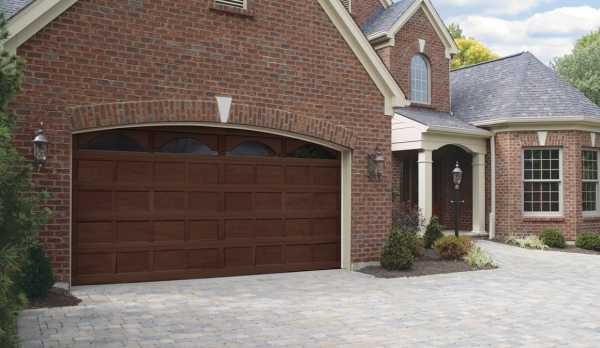 If budget is the deciding factor of your next garage door, look no further! These low maintenance, optional insulation steel frame garage doors come in a carriage style. They combine classic lines and charm to provide a clean style at a great value. 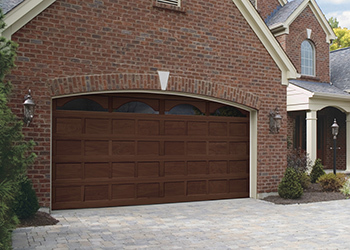 We took the classic raised panel steel garage door and gave it a vintage touch by adding grooved panels, the option for decorative windows and beautiful wrought iron hardware. These come in many different style options, including Clopay®’s exclusive faux woodgrain paint finishes. 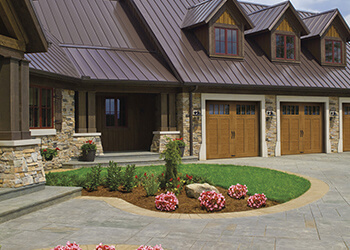 Clopay®’s Classic™ Collection steel doors boost the curb appeal of every home! 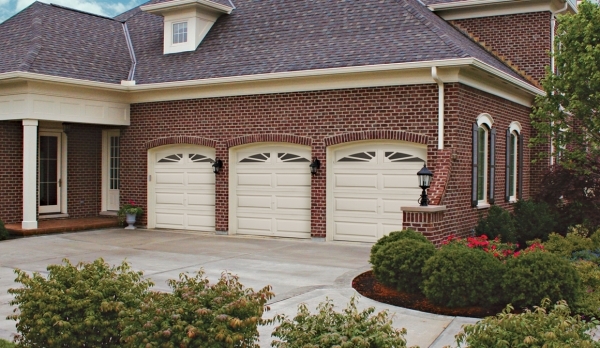 With these garage doors, there’s no need to worry about compromising style for strength, reliability and comfort. 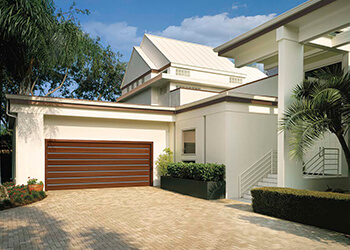 Clopay®’s Modern Steel™ Collection of garage doors are perfect for contemporary and mid-century modern styles of homes. 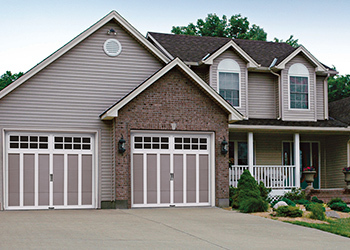 These doors are available with optional grooves in multiple colors and faux woodgrain finishes to create a look that complements your home. 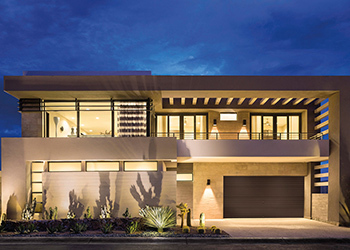 Recreate the look of your home with a modern glass and aluminum garage door. 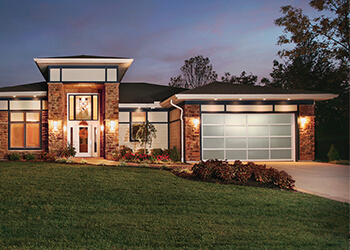 The Clopay® Avante™ collection allows the beauty of natural light to come in during the day and your home’s lights to glow during the night. 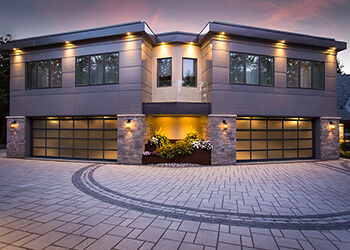 With different glass garage door panels available, you can choose the perfect degree of natural light to complement your home. 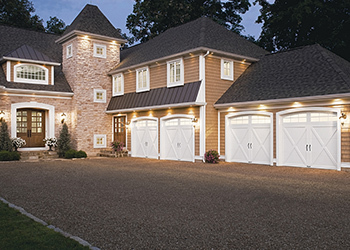 The classic look of carriage house garage door designs combines historical charm with the convenience of automatic overhead operation technology. 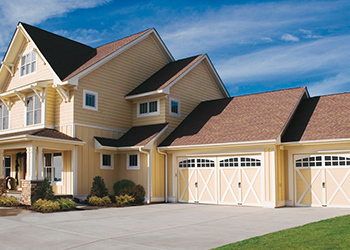 We carry eight carriage house designs, available in multiple colors and finishes. 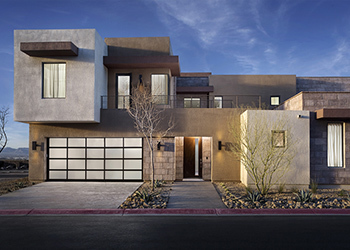 These doors have top section and window panel designs that can be mixed and matched for a custom look that complements any color scheme or architectural structure. 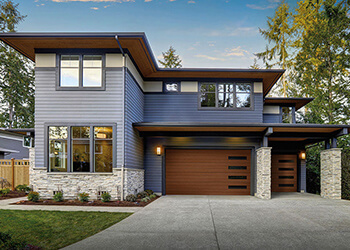 Showcase the beauty of natural wood with a custom hemlock, redwood or cedar garage door from Clopay®’s Classic Wood™ collection. 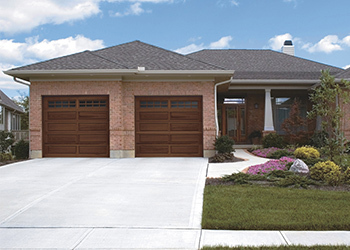 These handcrafted wood garage doors feature panels that can be raised, recessed and flush to perfectly complement your home. 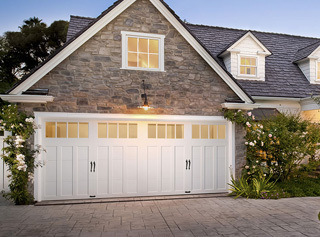 To learn more or to request a free in-home estimate, contact the garage door professionals at Town & Country Door, LLC today!